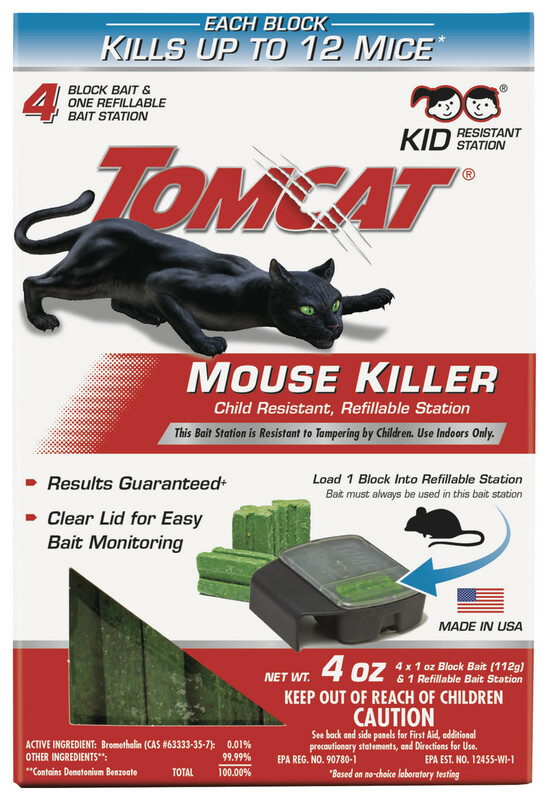 Tomcat® Mouse Killer Child Resistant, Refillable Station effectively kills up to 12 mice* with one bait block while providing effective station security. Resistant to tampering, the disposable station gives mice easy access to bait and keeps fingers out. The bait station can be used indoors. *Based on no-choice laboratory testing. 1. While wearing gloves, load bait block into refillable bait station. With your left hand, push tab up. While still holding tab, squeeze prongs of bait cartridge and pull it away from station. Place bait into cartridge. Push cartridge into station until it clicks into place. 2. Place bait station where rodents travel, usually a 10 - 30 ft. area between their nest and food source. 3. Stations have a clear lid for easy bait monitoring. Refill bait as needed. For indoor use only. Do not use in areas accessible to pets. 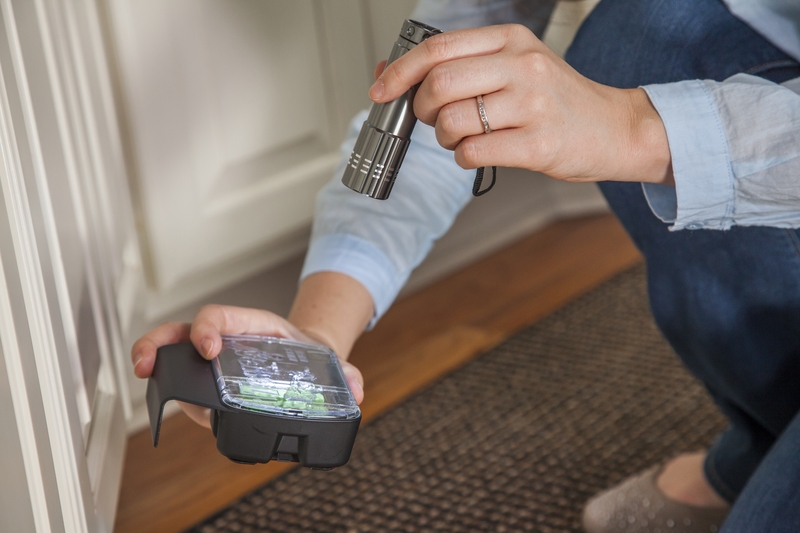 Seeing a mouse or seeing droppings is the #1 sign you have a rodent issue. Maintain an uninterrupted supply of fresh bait for at least 15 days or until there no longer are fresh signs of house mouse activity in infested areas. If re-infestation does occur, repeat treatment. Station is child resistant. Store bait block refills out of reach of children and pets. Mice will eat a small amount of bait and leave the station. You likely will not find a dead mouse in the station. Learn how this highly effective form of rodent control works and to choose the right one for your needs.